The real power of using your Mac and the web is searching for, and finding, websites you don’t know the address for. Whether you want to find the website for a specific company or person or more general information about a topic, the answers are literally at your fingertips. Just type a word or phrase that describes the information you want, press Return, and a list of related web search results (hits or links) appears, probably offering more than you ever wanted to know about the subject of your search. When you want to find something on the web, you usually go through a search engine, which is a behind-the-scenes technology used by special websites that can look for other websites and the information they contain based on a word or phrase you enter. Click the Safari icon on the Dock or Launchpad to run Safari. Click in the Search and Address field, enter a word or phrase, and then press Return. The Safari window displays a web page of links your search engine found, as shown. Click the website you want to visit or click one of the buttons at the top of the results web page to see results in other types of media, such as images, videos, shopping, news, or maps. Click the More button to see all the choices. Choose Safari→Preferences, and then click the General tab. Click the pop-up menu next to Default Search Engine and choose Yahoo! or Bing. Click the Close button in the upper-left corner of the Preferences window. If you search for websites and find yourself wandering down a number of blind alleys because the web pages you navigate to aren’t what you’re looking for, return to your search results and start afresh. Choose History→Search Results SnapBack, and the results instantly replace whatever page you were viewing. Use quotation marks around a phrase to find the words exactly as you typed them. For example, if you type John Quincy Adams in the Search field, your result contains references for John Smith and Jane Adams in Quincy, Massachusetts, as well as references to the former president. If you type “John Quincy Adams”, your search results contain only websites that contain the name as you typed it. Use Boolean operations without quotes, for example, type John AND Quincy AND Adams. 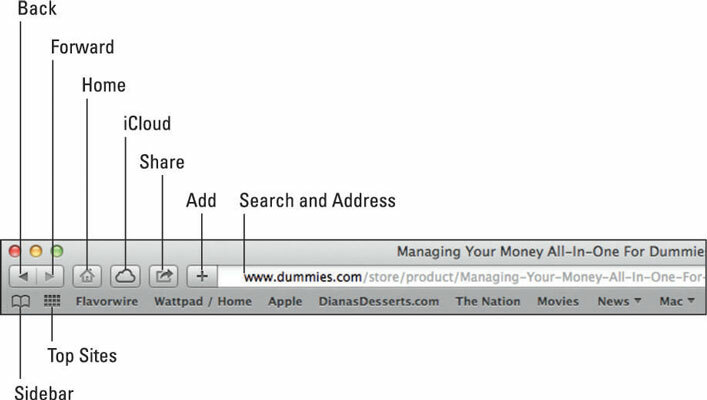 Confine your search to a specific website by adding site:domain. For example, if you want references to John Quincy Adams from the White House website, type “John Quincy Adams” site:whitehouse.gov. Exclude certain common usages by placing a hyphen before the word you want to exclude. Don’t worry about using small articles and prepositions like a, the, of, about; or using capital letters. Check your spelling. If you mistype a word or phrase, the search engine might offer suggestions for the correct spelling and look for websites that contain that misspelled word or phrase, which probably won’t be the website you really want to see. 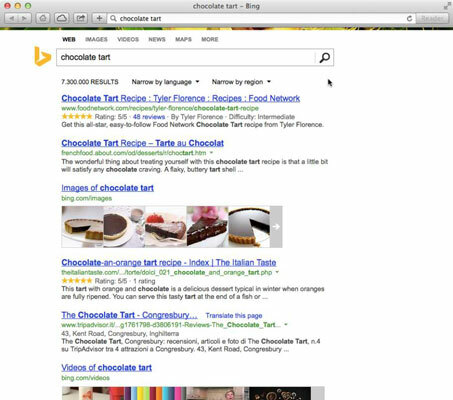 Every time you type a word or phrase in the Search text box, Safari (and most other browsers) saves the last ten words or phrases you searched. To search for that same word or phrase later, just click the down arrow that appears in the left side of the Search text box to display a pull-down menu. Then click the word or phrase you want to search for again.